Companies are facing decisions on how to implement automation into their Security Infrastructure. They are looking to understand how, when, and where to implement the right automation capabilities in order to improve productivity, reduce costs, scale to support cloud deployments, and ultimately strengthen the security posture of the business. During this webinar, we will review the findings and discuss how your company can apply them to existing plans or where to start putting a plan together. 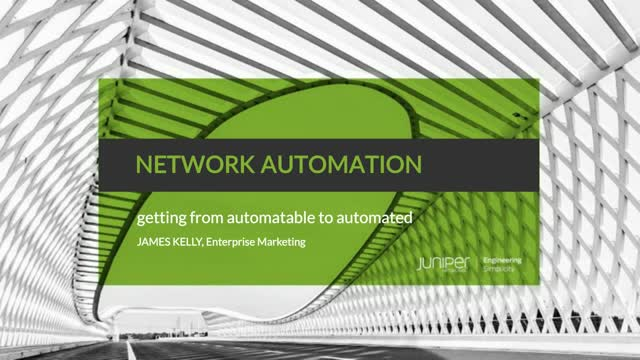 Lee Fisher, Head of Security EMEA at Juniper Networks explains that before organisations can begin to harness machine learning and artificial intelligence in their operations, they first need data. A proliferation of devices and RFID tags has created an abundance of data, but Lee points out that organisations need to understand how to use this data to build knowledge and protect themselves by establishing a baseline of normal activity that will enable them to identify abnormal activity.